Why should we eat more turmeric ? Turmeric is traditionally named as “Indian saffron” because of its deep yellow-orange colour and has been used throughout the ancient Vedic culture of India as a condiment, healing remedy and textile dye. It is one of the most researched condiment and is used in almost all Indian curries, this spice has almost no calories and zeroes cholesterol. It is rich in dietary fibre, iron, potassium, magnesium and vitamin B6. The wide range of turmeric health benefits come mainly from its main ingredient, curcumin. Turmeric is used for arthritis, heartburn, stomach pain, diarrhoea, intestinal gas, stomach bloating, loss of appetite, jaundice, liver problems and gallbladder disorders. It is also used for headaches, bronchitis, colds, lung infections, fever, menstrual problems, and cancer. Some people apply turmeric to the skin for pain relief, ringworm, bruises, leech bites, inflammatory skin conditions and infected wounds. In short, Turmeric provides a wide variety of benefits, but there are seven standouts. Once you know about these seven benefits you’ll be eager to add the spice to your diet. Potent Antioxidant:Curcumin has a huge therapeutic value as boosting immunity is one of its most important properties. Curcumin exerts powerful antioxidant effects by neutralizing free radicals, chemicals that can travel through the body and cause great amounts of damage to healthy cells and cell membranes. This is important in many diseases, such as arthritis, where free radicals are responsible for the painful joint inflammation and eventual damage to the joints.The high antioxidant power of turmeric also helps to put the brakes on aging process. Maintains Healthy Heart: Oxidized cholesterol damages blood vessels and promotes plaques formation that can lead to heart attack or stroke. Curcumin not only prevents the oxidation of cholesterol in the body but is also beneficial in reducing bad cholesterol and improving good cholesterol. In addition, turmeric is a good source of vitamin B6, which keeps homocysteine levels under control and thereby protects direct damage to blood vessels caused by elevated levels of homocysteine. 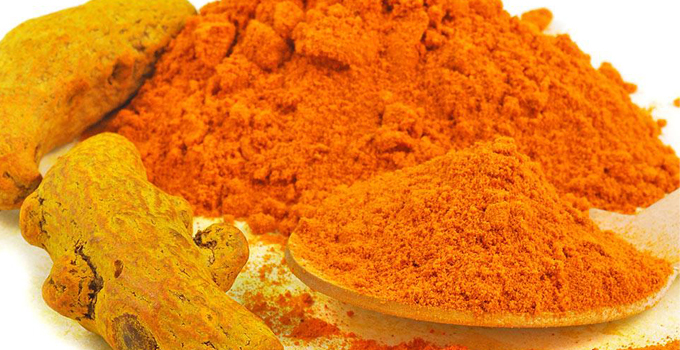 Cancer Prevention: The most promising quality of turmeric is its ability to prevent cancer. Turmeric can be beneficial for preventing breast, prostate, skin and colon cancer. This super spice helps the body to destroy mutated cancer cells and prevents its spreading into other organs. Moreover, It causes cancer cells to commit suicide. Turmeric prevents cancer progression by 2 ways: first, by enhancing liver function and second by preventing blood supply to cancer cells which may be necessary for their growth. A Potent, Yet Safe Anti-Inflammatory: Curcumin is thought to be the primary pharmacological agent in turmeric. This makes it effective for fighting heart disease, osteoarthritis pain and other health problems related to inflammation. Curcumin is believed to reduce certain enzymes in the body known to trigger inflammation. Curcumin’s anti-inflammatory effects are comparable to the potent drugs like hydrocortisone and phenylbutazone as well as over-the-counter anti-inflammatory agents such as Motrin. Unlike the drugs, which are associated with significant toxic effects (ulcer formation, decreased white blood cell count, intestinal bleeding), curcumin produces no toxicity. promotes weight Loss: Curcumin promotes weight loss and reduce the incidence of obesity-related diseases. Turmeric stimulates the production of bile which helps to break down fatty foods, which in turn, may help you lose weight. Taking one teaspoon of Turmeric powder with every meal may help in losing weight. This of course doesn’t cancel the fact that you need to eat healthy and exercise. Slows the progression of Alzheimer’s disease : Curcumin in turmeric has a potential role in the prevention and treatment of Alzheimer’s disease. Alzheimer’s disease is a neurodegenerative disease characterized by progressive cognitive deterioration together with declining activities of daily living and behavioral changes. Various effects of curcumin, including anti-inflammatory, and antioxidant property, improves overall memory in Alzheimer’s patients. Natural painkiller: Turmeric can be considered as an instant painkiller option. Turmeric is capable of fighting a variety of pain that would otherwise be rated with over-the-counter pain medication which just suppresses the pain unlike turmeric which attempts to heal the pain as well. Add turmeric to egg salad to give it an even bolder yellow colour. Give salad dressings an orange-yellow hue by adding some turmeric powder to them. Season rice, vegetables and curries with turmeric. Turmeric is a great spice to complement recipes that feature lentils. Include the spice as an ingredient in your regular meals. You can make a tea out of turmeric. Boil about four cups of water with a spoonful of turmeric for about ten to fifteen minutes. Strain and drink. The best remedy for a sore throat. Thus, turmeric is safe and offers a variety of general health benefits, you have nothing to lose by adding it to your daily diet in moderate amounts. I read every bit of your article and loved it.Also did not know the health benefits associated with the liver and I agree with you a healthy liver will lead to better overall health.